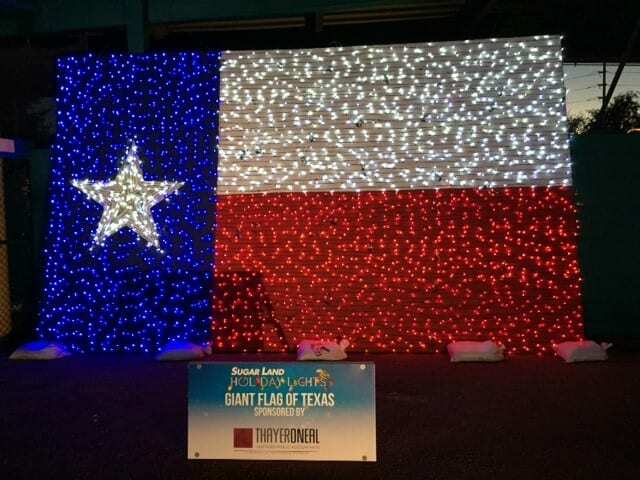 Thayer O’Neal is the proud sponsor or the giant Texas Flag at the home of the Skeeters, Constellation Field in Sugar Land, TX. Sugar Land Holiday Lights has more than 2.5 million lights, 8 theme areas, holiday shopping, great food, SANTA CLAUS and lot’s more! Come out and enjoy the holiday lights!! !